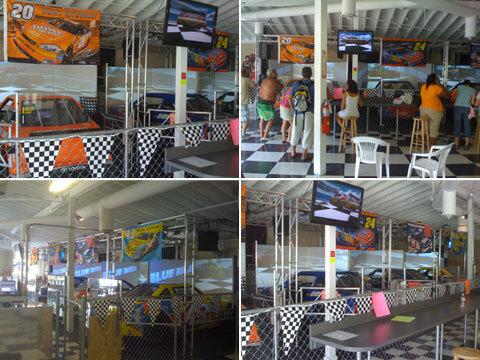 The only Full Motion NASCAR Simulators in the Keys. These flight grade simulators give you all the same motion cues that the driver feels at 200+ mph. Feel the car get light as you enter into the draft. Feel the back break loose if you take the turn too fast or miss the line. Experience the exhilaration of crossing the finish line and hearing YOU WON over the loudspeakers. Bring your friends and family and race each other as well as all the stars of NASCAR for bragging rights. It is full contact family fun. Bump-draft your way to the head of the pack, take the checkered flag for the win and get a free race.